The Orphan Well Association began as an innovative collaboration among the Alberta Government, provincial regulators and the oil and gas industry to work toward a common goal: protecting public safety and managing the environmental risks of oil and gas properties that do not have a legally or financially responsible party that can be held accountable. These properties are known as “orphans.” The mandate of the OWA is to safely decommission orphan oil and gas wells, pipelines and production facilities, and restore the land as close to its original state as possible. The Orphan Well Association (OWA) is an independent non‐profit organization that operates under the delegated legal authority of the Alberta Energy Regulator (AER). 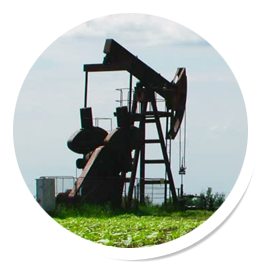 Our funding comes primarily from the upstream oil and gas industry through annual levies administered by the AER. The Association’s team is comprised of engineers and scientists who are experts in retiring both conventional and unconventional oil and gas assets. Their offices are located in downtown Calgary.